In loving memory of Doreen Lancashire (nee Dixon) who sadly passed away on 24 July 2018 at Redlands Residential Care Cleveland, aged 93. 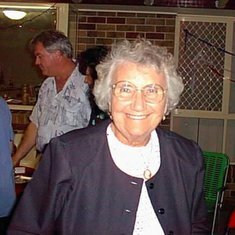 Doreen was born at Newcastle on Tyne in England in 1925, moved to Australia in 1965 and made her home in Woodridge Queensland. Widow of John Faddy and Elijah Lancashire. Doreen will be sadly missed by her loving daughter Marie and her many family members, friends, Grandchildren and Great Grandchildren. She will be long remembered for the love of life she had before Alzheimer’s slowly claimed her mind and blindness clouded her eyes. Family and Friends are warmly invited to attend Doreen’s funeral service on 30 July 2018 at the Great Southern Crematorium which is situated at 1774-1794 Mount Cotton Rd, Carbrook QLD 4130. Please be there by 2.45 pm for a 3 pm service. Afterwards: Please join the family for refreshments at Colin and Marie’s Home at Edens Landing – wine, beer and snacks provided. In lieu of flowers, please consider a donation to the Cancer Council of Queensland - envelopes will be available on the day. 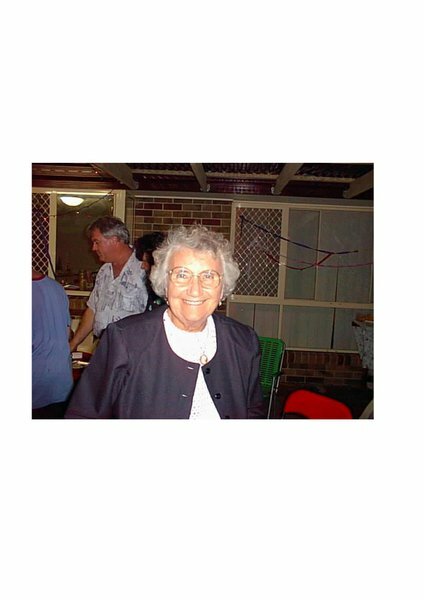 At this difficult time, Doreen’s family would like to thank the staff at Redlands Residential Care Cleveland for the care and attention shown to Doreen and her family that made her final days as comfortable as possible.